Objective: Given a binary tree write an algorithm to convert it into threaded binary tree. Note: Tree node has extra Boolean field to be used. 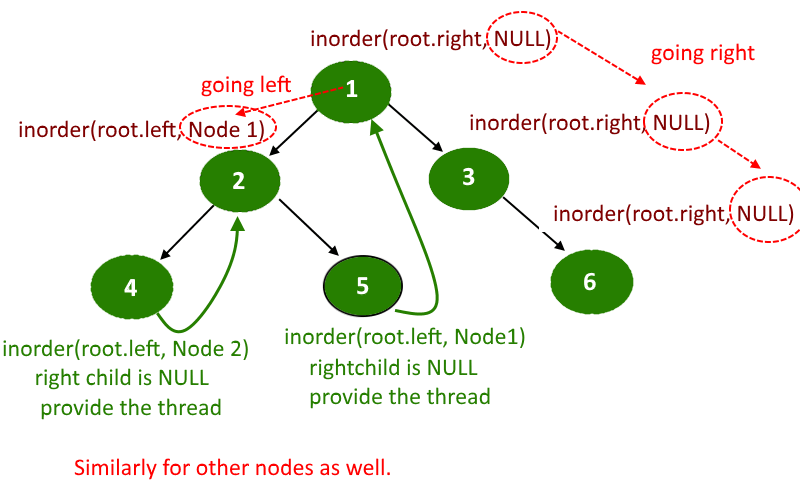 In earlier article “Introduction to Threaded Binary Tree” we have seen what is threaded binary tree, types of it and what advantages it has over normal binary tree. In this article we will see how to convert existing binary tree to threaded binary tree. we will convert it to single threaded binary tree. 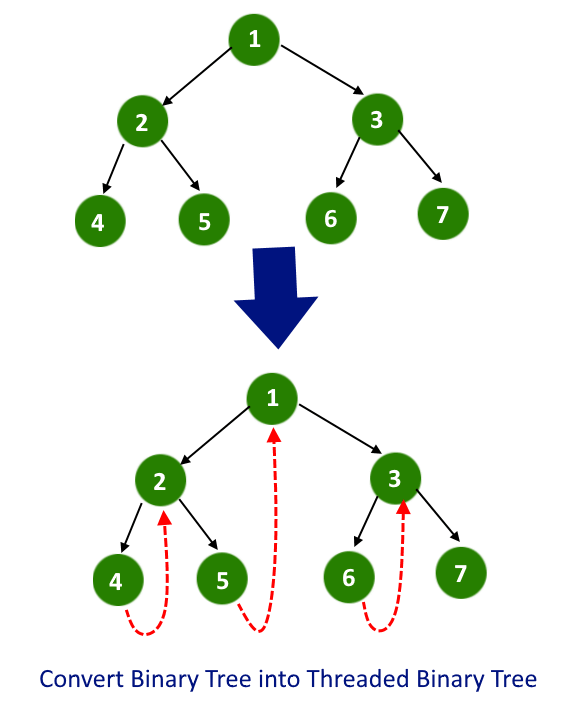 Binary trees have a lot of wasted space: the leaf nodes each have 2 null pointers. We can use these pointers to help us in inorder traversals. So in this article we will put all right null pointers to it’s inorder successor. The problem with the earlier solution is it’s using the extra space for storing the inorder traversal and using two traversals. Now we will see the solution which will convert binary tree into threaded binary tree in one single traversal with no extra space required. Do the reverse inorder traversal, means visit right child first. In recursive call, pass additional parameter, the node visited previously. whenever you will find a node whose right pointer is NULL and previous visited node is not NULL then make the right of node points to previous visited node and mark the boolean rightThreaded as true. Read the complete code and try it in our IDE for better understanding. 239 queries in 0.155 seconds.